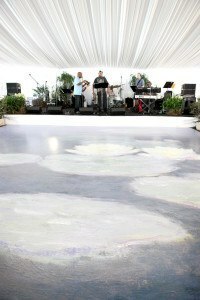 Detail + Design, the planner and designer, used Monet’s painting, Water Lilles, as inspiration for this absolutely amazing tent wedding in Indianapolis. The thoughtful details trickled from the hand curried invitation- a bottle of pink lemonade packaged in a wooden crate, all the way to the burlap tote filled with breakfast, including miniature biscuits and lemonade, waiting for the guests as they entered their cars to leave with one last memory of the unforgettable night. Jennifer, the bride, wanted her guests to be completely immersed in a living room setting. 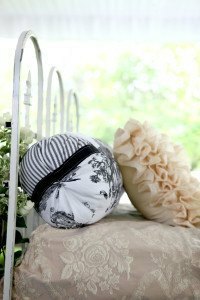 This feeling of comfort and warmth was accomplished in Jennifer’s childhood backyard using intimate and unique group seating arrangements. 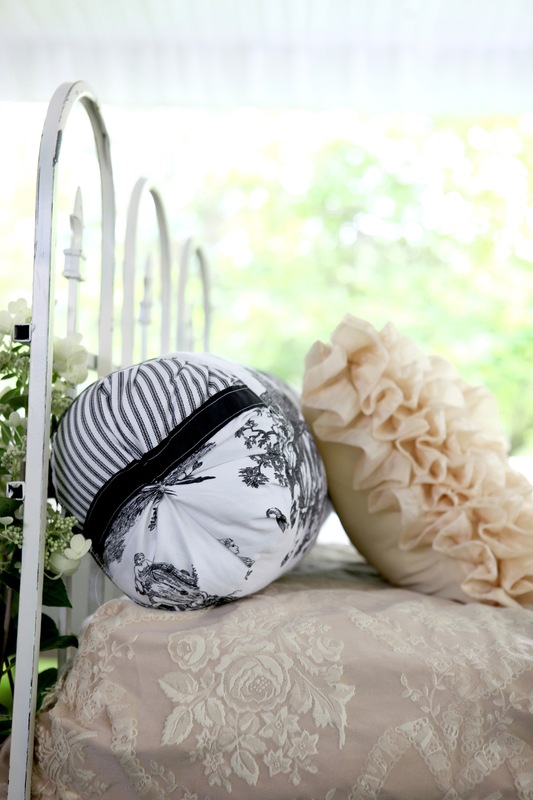 Each grouping had a unique set of pillows, throws, textures and patterns. Slip-covered couches with ottomans, tall chiavari bar stools, and daybeds offered guests a comfortable space to relax and mingle, while adding to the shabby chic decor. Sit down and stand-up cocktail tables with a taffeta linen gave guests even more options during cocktail hour. 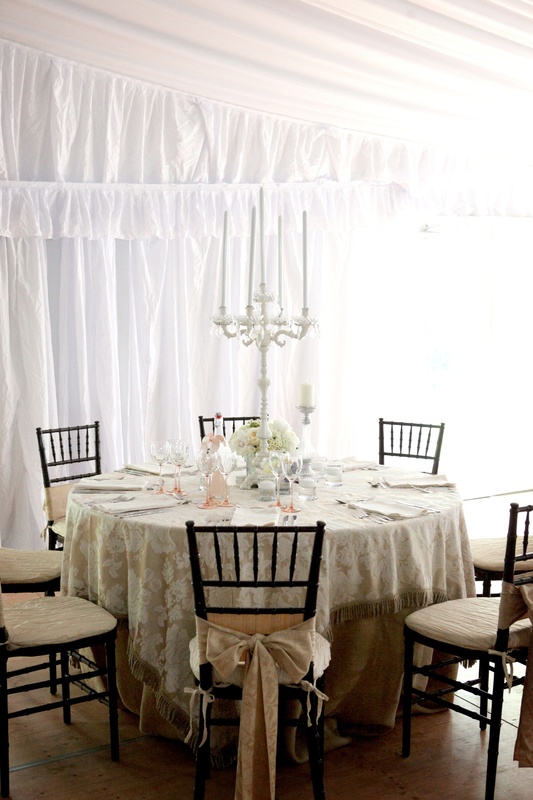 The clearspan tent was draped from top to bottom with French inspired chiffon. Six crystal chandeliers sparkled as you walked into the tent through the French doors. 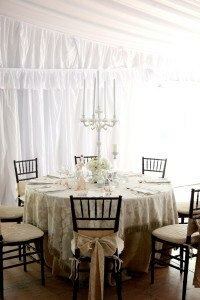 Each guest table was decorated uniquely with floral containers, French candelabras, dining room chairs, couches, and pillows. The table numbers were hung from pink lemonade bottles that accented the pink stemmed glassware. As if this were not enough, I saved the best for last. 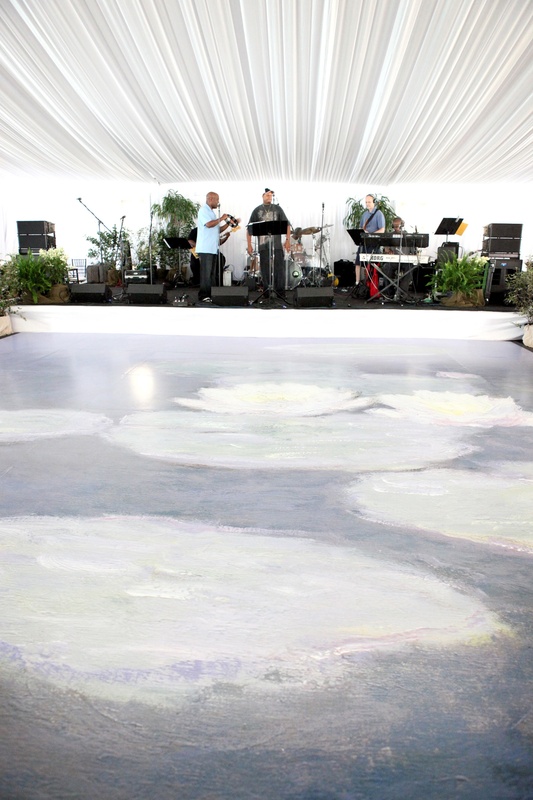 The 186 guests danced until their hearts desired on the inspirational Water Lillies painting, reproduced on the dance floor. Needless to say, this stunning Indianapolis tent wedding will not be forgotten anytime soon. Monica Richard and Gene Huddleson, of Detail + Design, were international finalist for “Best Wedding over $200,000” according to ISES (International Special Events Society). Assorted childhood favorite desserts were also an option throughout the wedding and included: donuts, pudding, homemade HoHo’s, and candy served with coffee. The details and intricacies of this wedding are endless. Please visit our Idea Gallery to view the complete set of photos. Great arrangements and very nicely created the look of the event. Great work! !